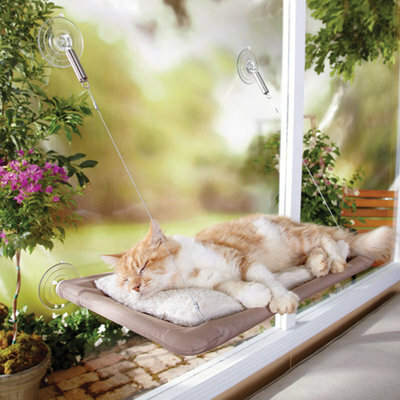 Give your cats the best seat in the house with this window mounted cat bed. Installs in seconds & holds up to 50 lb. Keeps cats warm & happy. No tools required & the machine washable cover is easy to remove. 12" x 22" assembled.